Please welcome Stacy McKitrick back to Alpha Heroes! 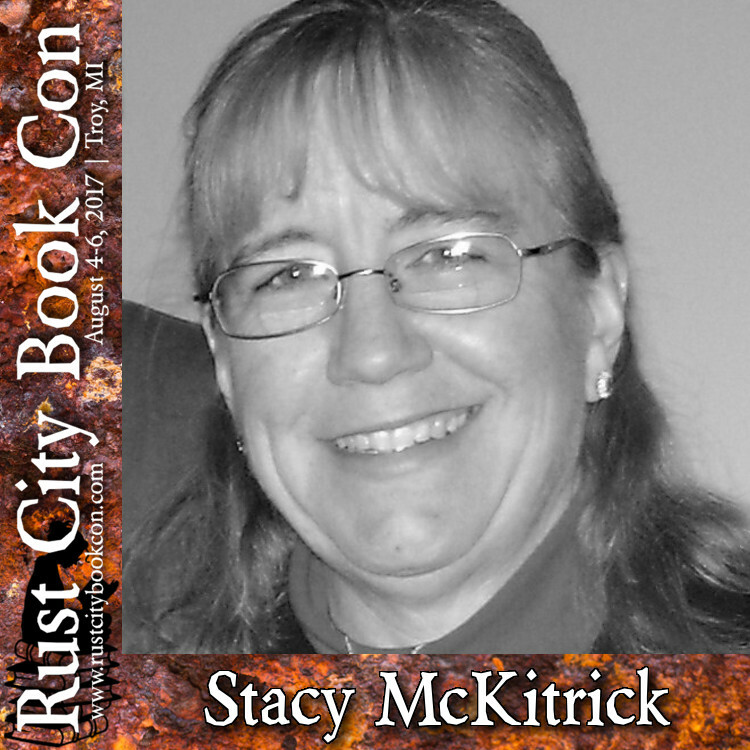 Stacy is returning to Rust City this year, and I'm so happy to have her back for the increasingly famous Five Words Game! Welcome to Alpha Heroes, Stacy -- can you tell us a little bit about yourself? Hi Nicola! 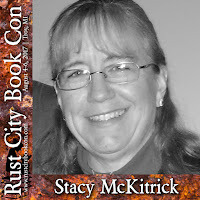 I’m Stacy McKitrick. I love the Penguins, Steelers, Red, and Rams. I hate exercising, but I do it anyway. Oh wait, you want to know what I write? I write paranormal romance with vampires and ghosts (so far). Well, that's right up our alley here. What's your favorite kind of hero? I’m not a fan of the alpha hero, I find them to be too much like Tom Brady (who I despise). If you prefer your guys toward the beta-side, then you’ll enjoy my books. Honestly, in spite of the blog name, I like all kinds of heroes -- and heroines! OK, Stacy, bring it on! On the eve of the new moon like every new moon before, Rick lifted the rusty latch to the gate of eternal doom. Well, not his eternal doom, yet, but could certainly be one day. But unlike most eves of the new moon, fog settled onto the permanent residents. Most paid no mind to the ghostly wetness and Rick would make sure they all would be oblivious. As he stepped into the graveyard—one of the largest in the Detroit area—the stake in his hand shook. He’d been here numerous times, through snow, rain, and clear skies, but for some reason fog creeped him out the most. Probably because the monsters could hide better in it. Which was funny since some would consider him a monster. A path led them to the dark caretaker’s shed. They hunkered beside the weathered building. He hadn’t been lucky for ten years and didn’t see tonight being any different. But before he could tell her, the hair on the nape of his neck stood on end and the sound of the earth ripping broke through the silence. Definitely not lucky. He gripped his stake. Showtime. Well, I love that, and can't wait to see where our next players take us! Check back often as the game is going to run frequently between now and August! Find more from Stacy at her website. Whoo hoo! It'd been so long since I wrote that, I forgot what I wrote. Hee hee.